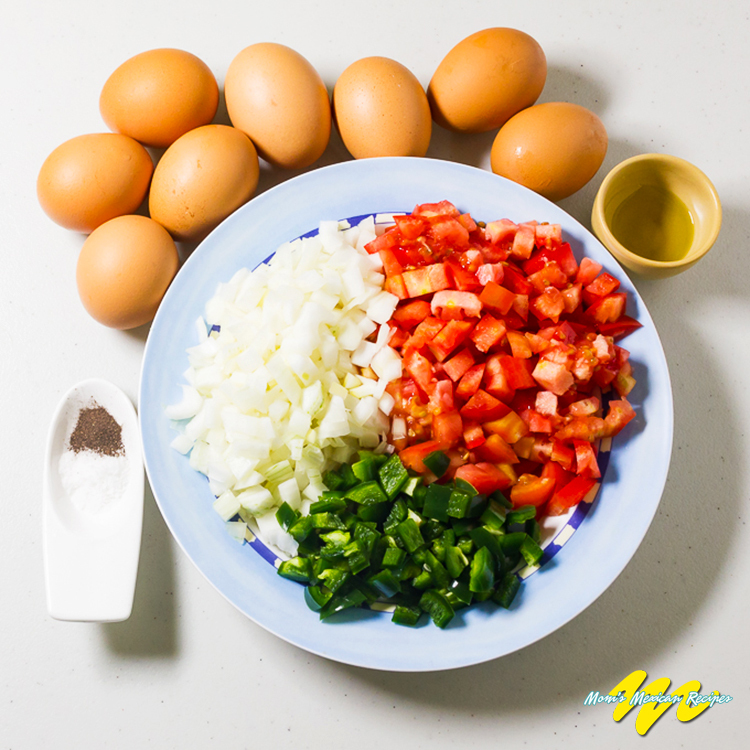 Huevos a la Mexicana Recipe is a quick and easy breakfast recipe to prepare.It is so named because its ingredients are the colors of the Mexican flag: green hot peppers, white onion, and red tomatoes.This huevos recipe is usually accompanied by Refried beans. 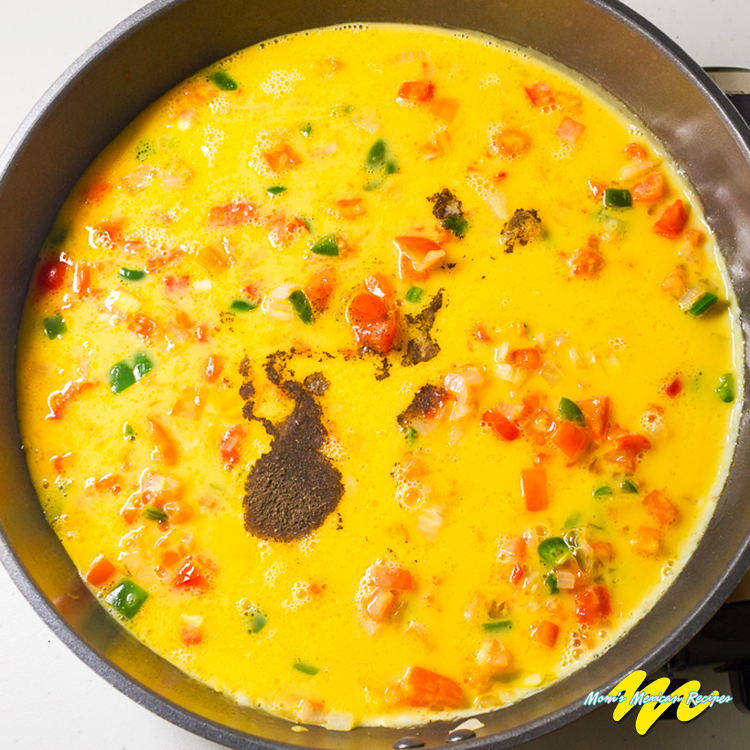 In a deep bowl, lightly batter the eggs and set aside. In a large frying pan fry the onion and chilli peppers. 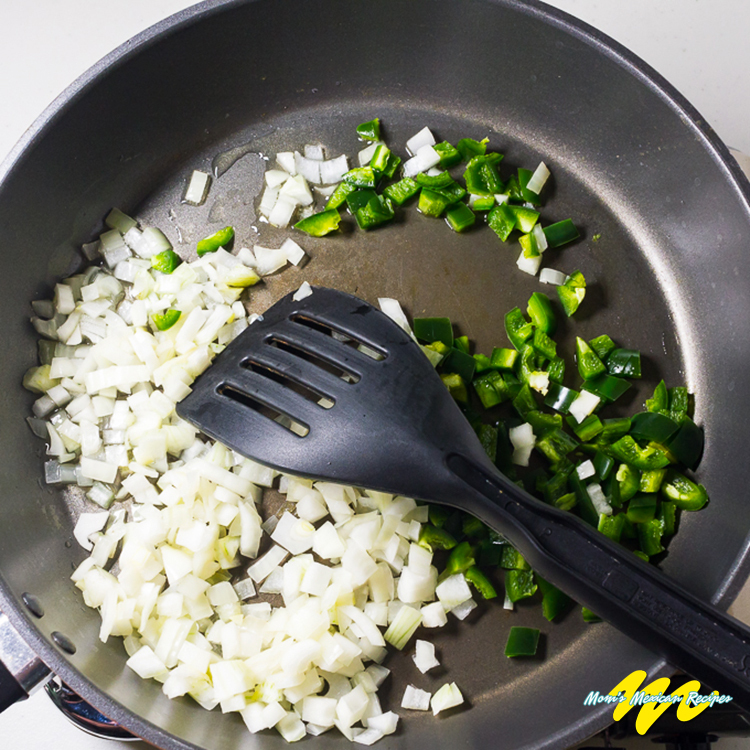 When the onion becomes transparent, add the tomatoes and keep frying. Add eggs with salt and pepper. Cook over medium heat and stir periodically. Egg shells, left in water overnight, is a quality organic fertilizer. The hot and spicy flavor of a chilli pepper comes mostly from the interior seeds and veins, which can be removed to lessen the effect. 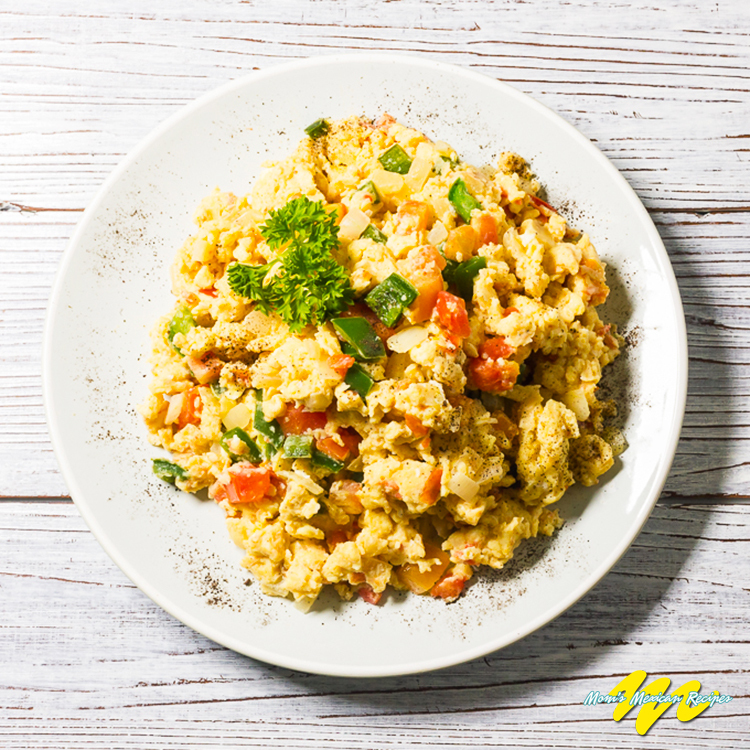 EGGS contain a host of vitamins: K, B, B12, D and proteins. 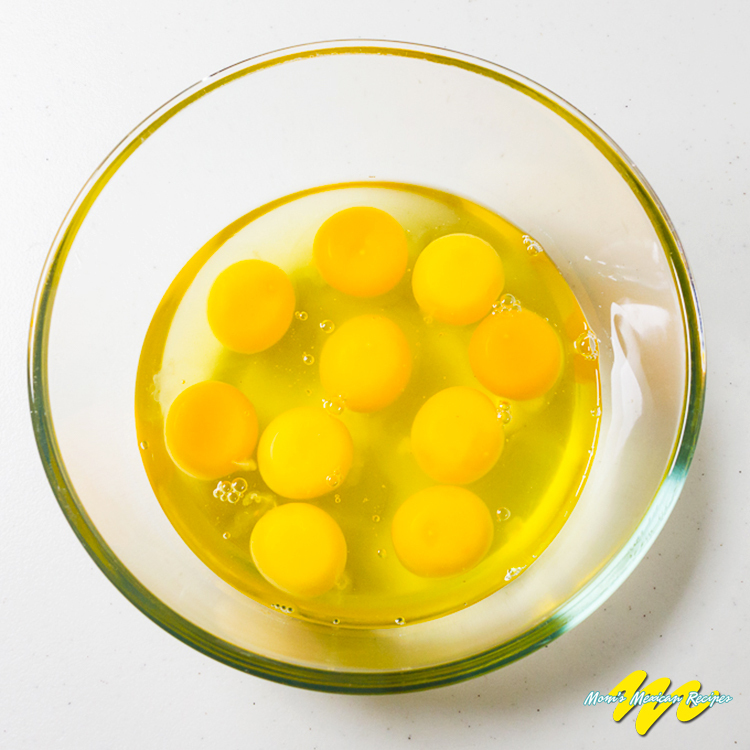 The white of the egg comprises 57% of the whole, and is largely comprised of water and proteins. ONION contains proteins, potassium, selenium, vitamins B12 and 6, niacin and phosphorous. It helps combat the onset of diabetes and is a known anti-carcinogenic. It works to reduce cholesterol and improve blood coagulation. Its enzymes contribute to oxygen in the blood cells; it improves respiratory function as well as blood circulation. It is a diuretic and helps to purify the organism. Does it matter what pepper you use?